Booking your corporate training through Intelligence Analysis Training Ltd will save you money and provide you and your company with many additional benefits. 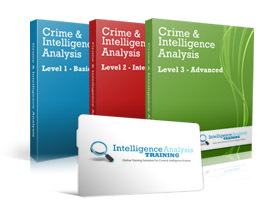 Specialist Courses – Intelligence Analysis Training Ltd provides specialist courses designed to provide or enhance the knowledge and skills required for a demanding role. Accessibility – The training can be accessed 24 hours a day from any computer with internet access, anywhere in the world. Your staff does not lose valuable work time away from the office. Delegate Access – Your staff are provided with individual user accounts so that they can access our e-learning material from your own internet portal or from their own personal computers. Reporting – A special feature for corporate orders (where delegate numbers warrant it) allows managers to request access to data from our Managed Learning Environment. You can monitor and track the progress of your staff from individual or group reports. Very Low Cost – The cost of our training is very low already however discounts may be available with multiple bookings, this can be discussed with our staff prior to ordering. If you have more detailed requirements, would like further information or if you are a company that wishes to order multiple courses please contact us directly.